١ Abandoned village houses are seen covered with overgrown vegetation in Houtouwan on Shengshan island, China's eastern Zhejiang province. 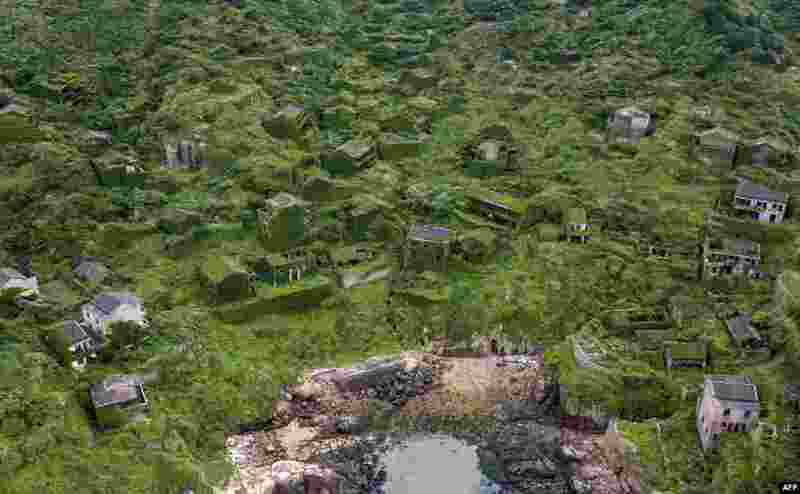 Houtouwan was a thriving fishing community of sturdy brick homes that climb up the island of Shenghshan, but is now abandoned, with entire houses completely overgrown as if vacuum-sealed in a lush layer of green. 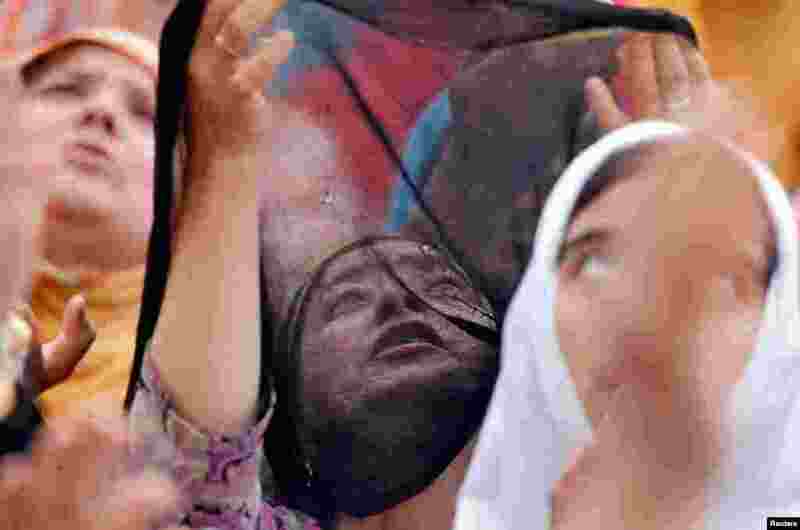 ٢ Muslim women react upon seeing a relic, believed to be a hair from the beard of Prophet Mohammad, displayed to devotees on the death anniversary of Hazrat Ali, son-in-law of Prophet Mohammad, at Hazratbal shrine during the holy month of Ramadan in Srinaga, Indian-controlled Kashmir. 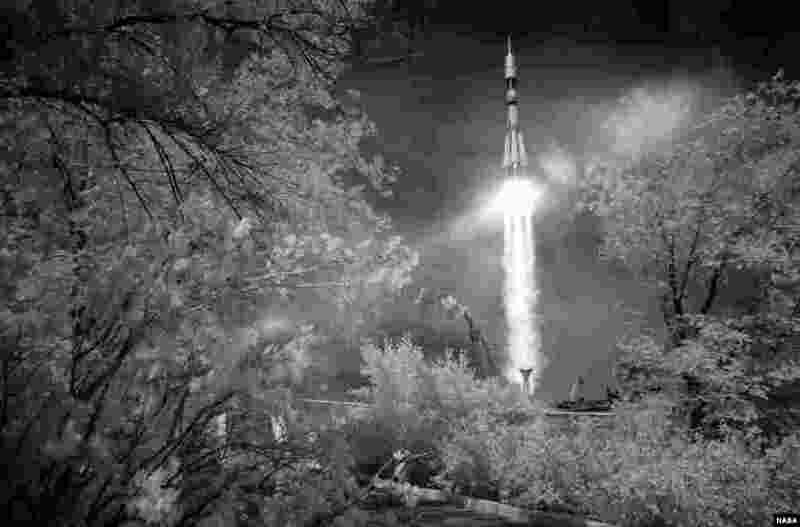 ٣ In this black and white infrared image, the Soyuz MS-09 rocket is launched with Expedition 56 Soyuz Commander Sergey Prokopyev of Roscosmos, flight engineer Serena Auñón-Chancellor of NASA, and flight engineer Alexander Gerst of ESA (European Space Agency), at the Baikonur Cosmodrome in Kazakhstan. 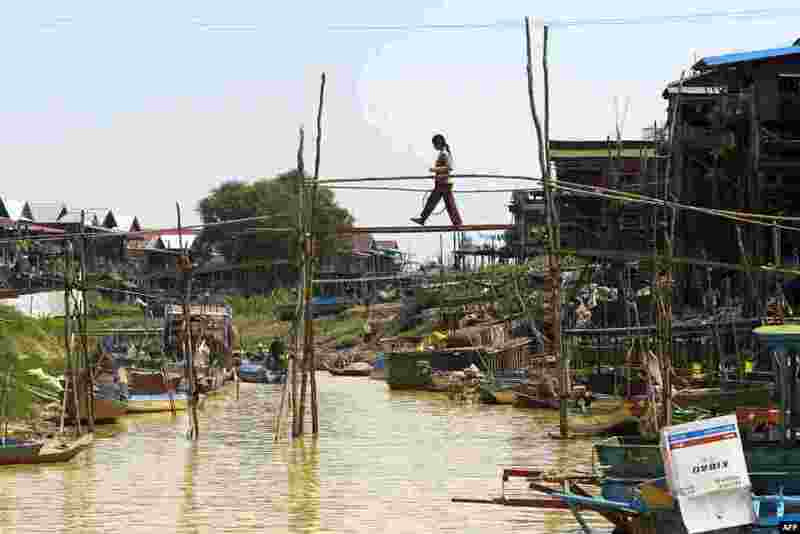 ٤ A woman crosses a bamboo bridge over a canal at the Kampong Phluk commune in Siem Reap, Cambodia.